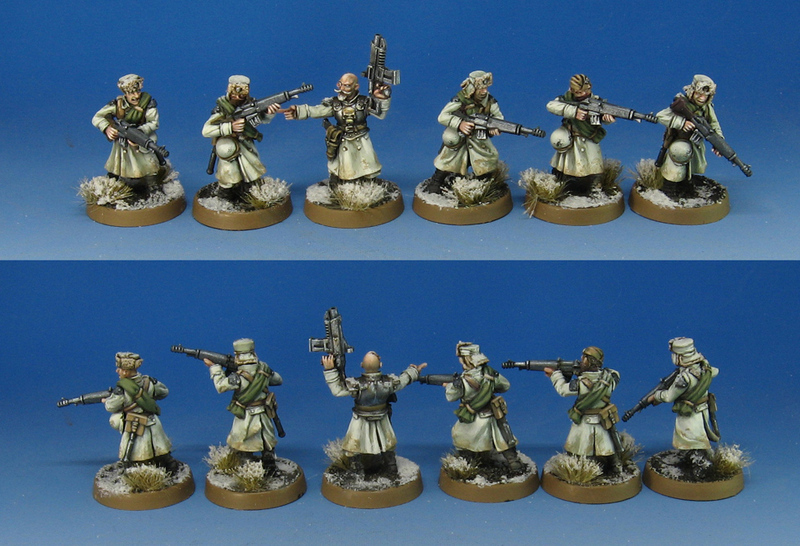 Up next from Victoria Miniatures are the Svargan Shock Soldats! 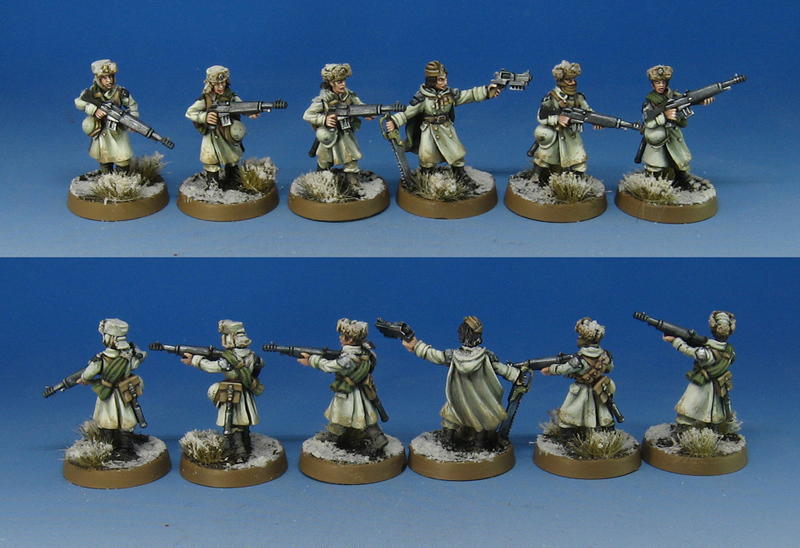 It was very interesting painting these so soon after painting my Winter Soviets for Bolt Action. The equipment was similar enough to the actual units to really make me think twice about what I was doing. 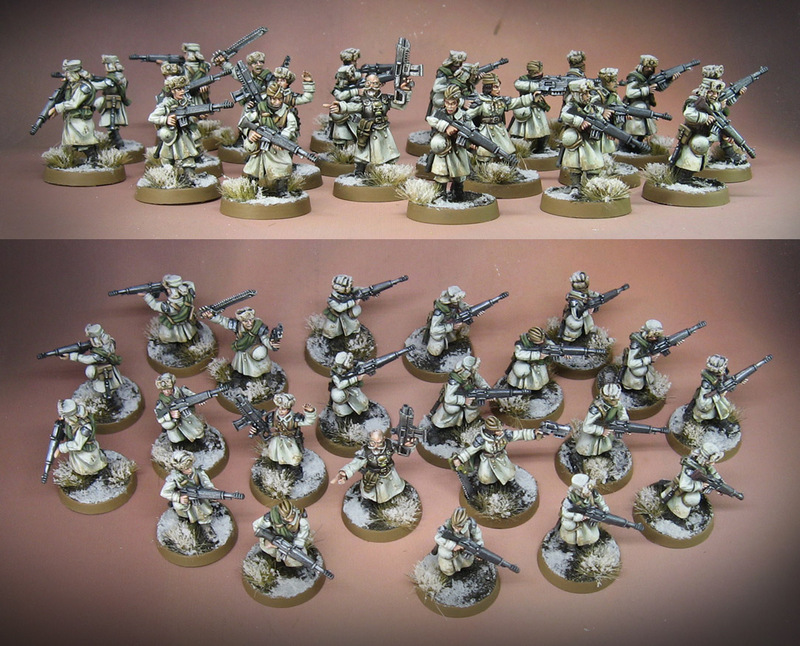 These would certainly make an interesting Guard Army. As always, there are lots of extra bits and options for heads, torsos, arms, weapons, etc. 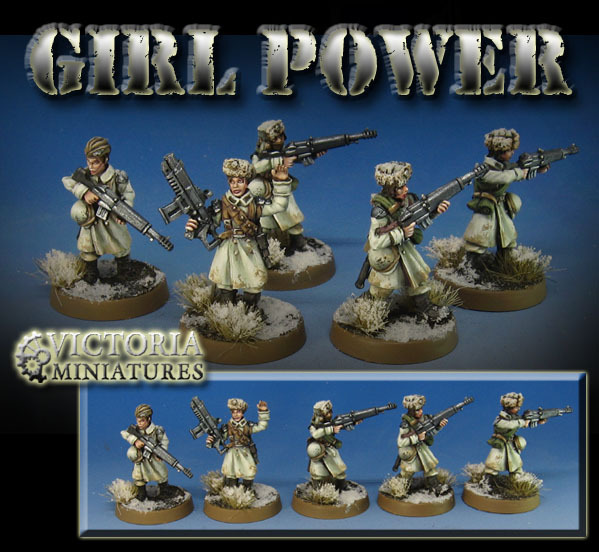 There are 10 man squads available in male or female options. 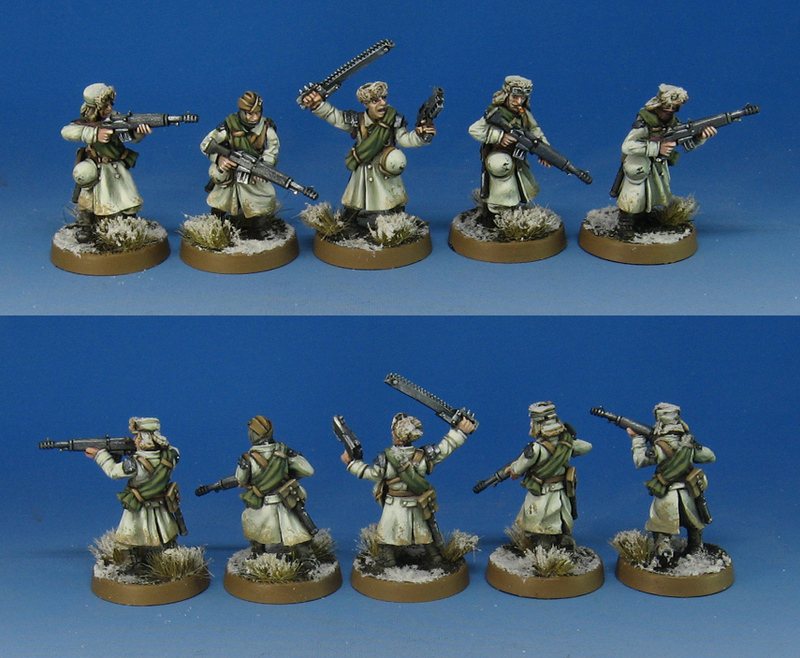 The snow technique that I used this time around was a more basic application of Vallejo Snow Texture, sprinkled with Woodland Scenics snow flock before it dried. 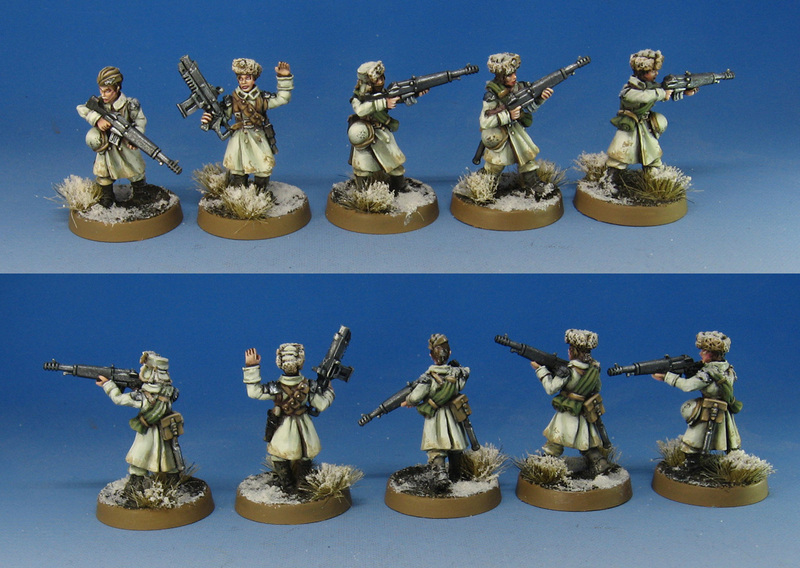 Getting a bit of the snow on the figures themselves is very helpful in making them seem like part of the environment. I know that just walking to the store 2 blocks away during a snowfall can leave my jacket and hat covered in snow/ice!